OA Device Rolls | Arai Seisakusho Co., Ltd.
We manufacture mainly rubber rolls used in copier or printer. 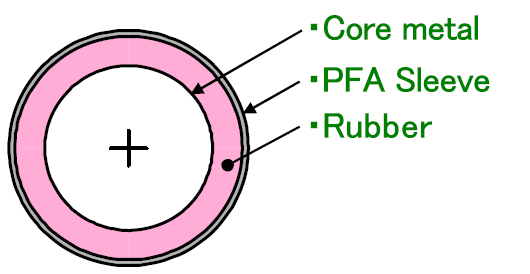 We can provide products that satisfy required characteristics for each application, such as roll covered with rubber on the core metal surface and roll coated with PFA sleeve on the outermost layer. Please refer to the main rubber characteristics table and request it. By coating surface layer of the silicone rubber with escalope PFA sleeve, it can be used as rolls which excellent in releasability, heat resistance and durability. 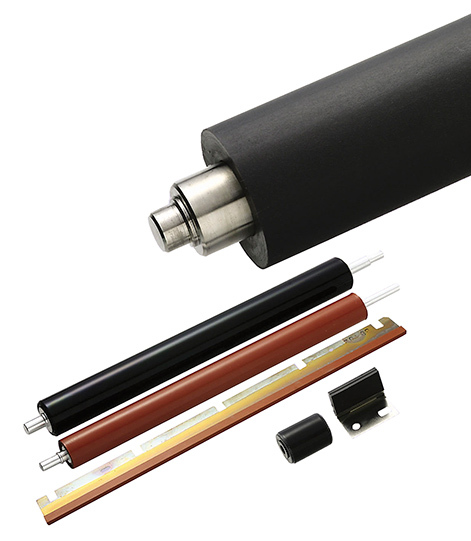 Soft fixing roller is superior in a thermal conductivity by using thin and high heat conductivity materials as rubber. By original rubber combination, a more stable electric property value is provided. please note that some combinations may be difficult to produce or may not match the values ​​in the table. In addition to the above rubber materials, if you have demands such as hardness and thermal conductivity, please contact us.